Mario games are my favorite games. Jumping is my favorite thing to do in a Mario game. Video games are my favorite hobby. In summary, jumping in a Mario game is my favorite thing to do. We got a chance to sit down and play Super Mario Odyssey recently. Nintendo’s very nice PR people were like, relax; take your time; enjoy the game. And I was like, “No: I gotta obsess over as many of the jumps as possible”. I made this video showcasing all of the jumps I tried, and comparing them to their counterpart jumps in Super Mario 64. Spoiler: Super Mario Odyssey has all of Super Mario 64's jumps, plus some new ones. My favorite new jump is a close relative of my favorite old jump. My favorite old jump is the running long jump, aka the “crouch-slide jump”, aka the “Z-Jump”. (Did everyone else call it the “Z-Jump”? We called it that because you had to press the Z button (the trigger) to slide before the jump.) 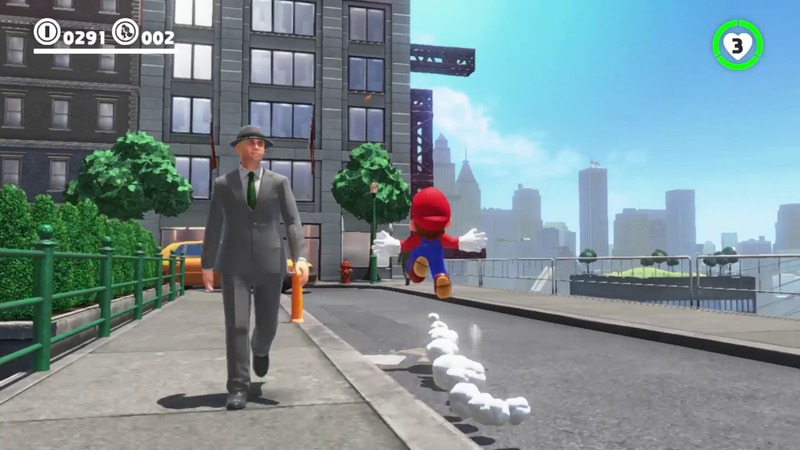 The basic idea of the new jump is this: if you press and hold the trigger again upon landing from a running long jump, Mario will land in a roll. Mario will roll forward with some good speed and momentum. This roll is not infinite: Mario will eventually stop. If you press the jump button before he stops, however, you can chain-combo into a second long jump. Press and hold the trigger again, land again, jump again: you can do this forever. It is delicious. It is My Favorite Thing To Do. Here: watch me execute 23 jumps in one combo. 23, the number of Michael Jordan, whose shoe brand logo is known as the “Jumpman”. Jumpman: the original name of Mario in the game Donkey Kong, which starred Pauline, mayor of New Donk City in Super Mario Odyssey. This is clearly not a coincidence. Super Mario 64 came out 21 years ago. That’s a long time ago. It’s aged well. Its jumps have aged even more well. 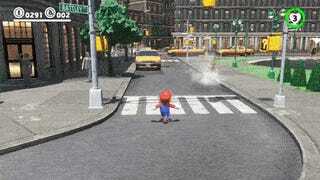 I wish I could play Super Mario 64 on my Nintendo Switch — though on 27 October 2017, I guess I can play Super Mario Odyssey on my Nintendo Switch, which will probably be even more fun.